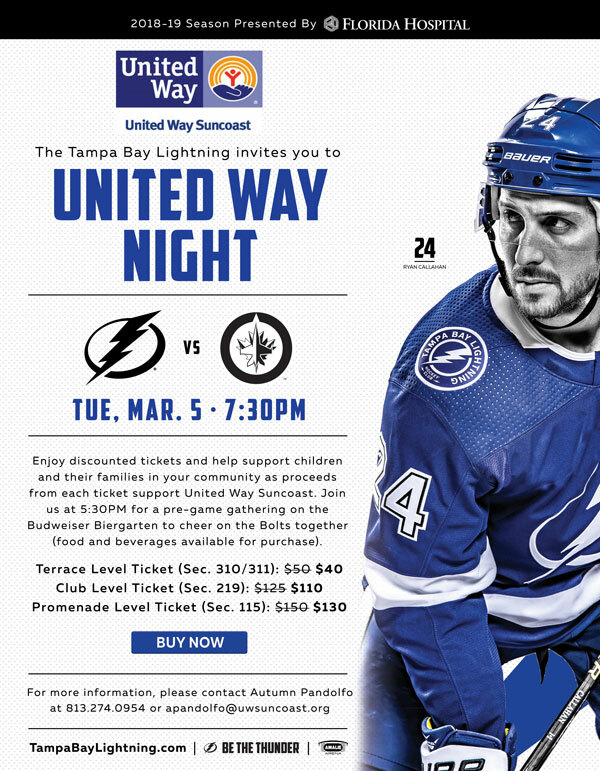 Enjoy discounted tickets to cheer on the Tampa Bay Lightning and help support children and their families in our community. 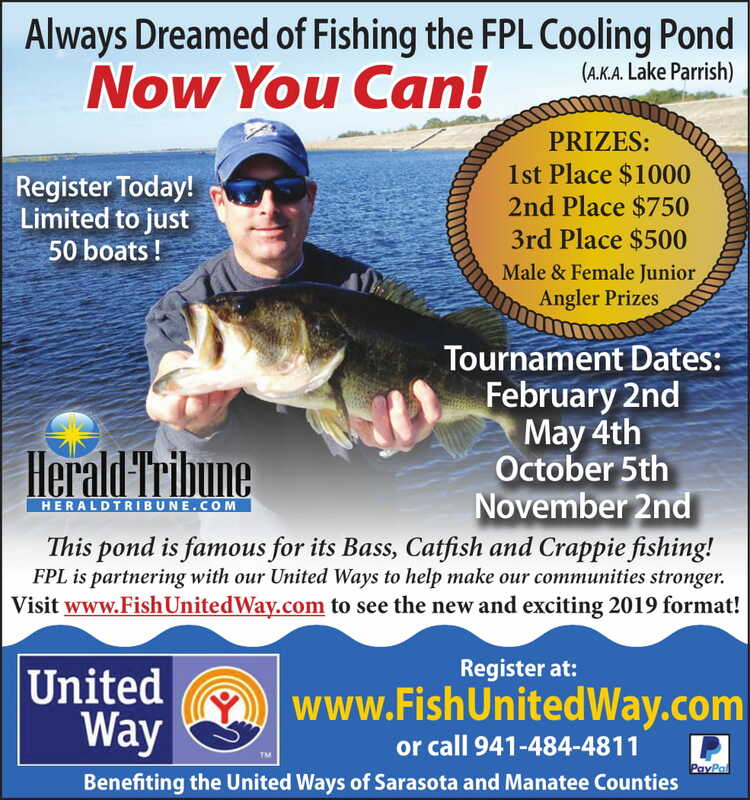 Proceeds from each ticket benefit United Way Suncoast. Join us at 5:30PM for a pre-game gathering on the Budweiser Biergarten to cheer on the Bolts together (food and beverages available for purchase). Purchase tickets here. For more information, please contact Autumn Pandolfo at (813) 274-0954 or apandolfo@uwsuncoast.org. 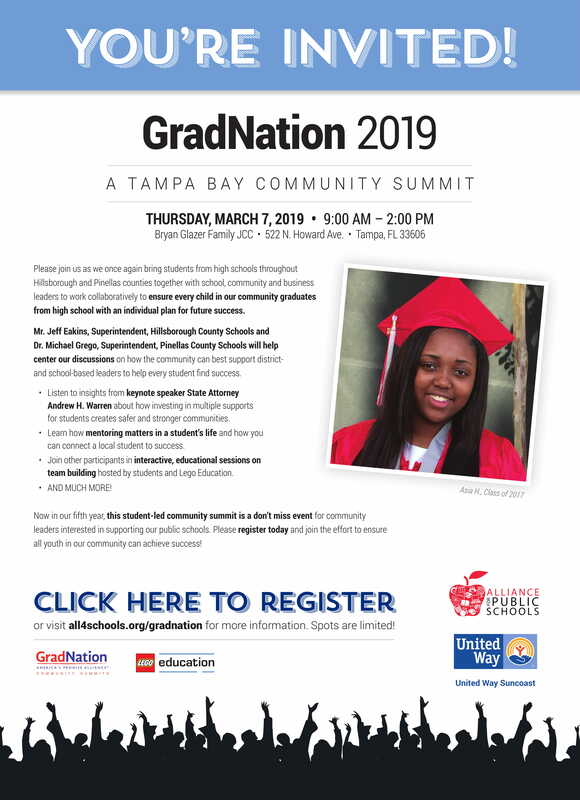 Please join us as we once again bring students from high schools throughout Hillsborough and Pinellas counties together with school, community and business leaders to work collaboratively to ensure every child in our community graduates from high school with an individual plan for future success. Mr. Jeff Eakins, Superintendent, Hillsborough County Schools and Dr. Michael Grego, Superintendent, Pinellas County Schools will help center our discussions on how the community can best support district-and school-based leaders to help every student find success. Listen to insights from keynote speaker State Attorney Andrew H. Warren about how investing in multiple supports for students creates safer and stronger communities. Learn how mentoring matters in a student’s life and how you can connect a local student to success. Join other participants in interactive, educational sessions on team building hosted by students and Lego Education. Now in our fifth year, this student-led community summit is a don’t miss event for community leaders interested in supporting our public schools. Please register today and join the effort to ensure all youth in our community can achieve success! REGISTER; free for YLS members, $10 for non-members. 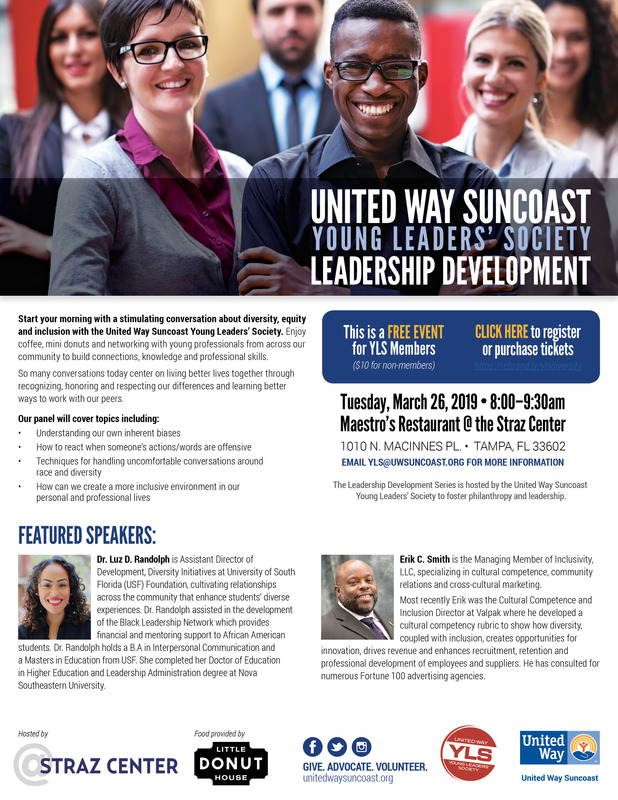 Start your morning with a stimulating conversation about diversity, equity and inclusion with the United Way Suncoast Young Leaders’ Society. Enjoy coffee, mini donuts and networking with young professionals from across our community to build connections, knowledge and professional skills. So many conversations today center on living better lives together through recognizing, honoring and respecting our differences and learning better ways to work with our peers. Dr. Luz D. Randolph is Assistant Director of Development, Diversity Initiatives at University of South Florida (USF) Foundation, cultivating relationships across the community that enhance students’ diverse experiences. Dr. Randolph assisted in the development of the Black Leadership Network which provides financial and mentoring support to African American students. Dr. Randolph holds a B.A in Interpersonal Communication and a Masters in Education from USF. She completed her Doctor of Education in Higher Education and Leadership Administration degree at Nova Southeastern University. Erik C. Smith is the Managing Member of Inclusivity, LLC, specializing in cultural competence, community relations and cross-cultural marketing. Most recently Erik was the Cultural Competence and Inclusion Director at Valpak where he developed a cultural competency rubric to show how diversity, coupled with inclusion, creates opportunities for innovation, drives revenue and enhances recruitment, retention and professional development of employees and suppliers. He has consulted for numerous Fortune 100 advertising agencies. The Leadership Development Series is hosted by the United Way Suncoast Young Leaders’ Society to foster philanthropy and leadership. Email yls@uwsuncoast.org for more information. Join Tampa Bay’s Largest Office Party! Lace up your sneakers, grab some coworkers (or friends) and get ready for fun and fitness at the IOA Corporate 5K. Taking place on Thursday, March 28th at Curtis Hixon Waterfront Park in downtown Tampa, this evening race and party promotes wellness, teamwork and United Way. Form your own team or join an existing team and make some new friends. New this year are team packages! Purchasing a team package is an exciting way to experience the IOA Corporate 5K with lots of added amenities and savings! A portion of proceeds benefit United Way Suncoast. Join the United Way team for the IOA 5K at https://haku.ly/bb0e7984.